WMU Representatives Margie Petro and Sonya Melton recently presented SAVE with a Bible, 15 New Testaments, $150 raised by the group and Hygiene Bags for needy families (toothbrush, toothpaste, soap, wash cloth, shampoo, gloves, socks, etc). 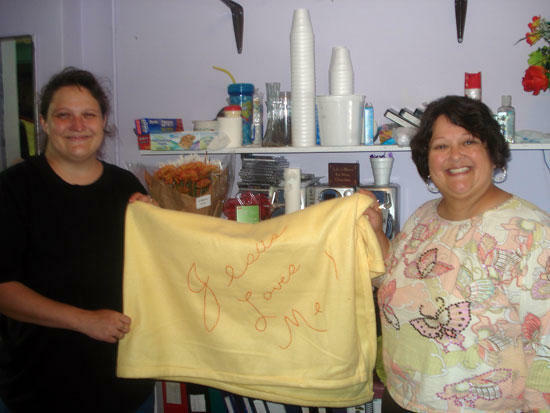 Melton also presented SAVE with several Baby Blankets she had made for SAVE's smallest clients. SAVE greatly appreciates the group's support and concern for this agency and the victims we serve. Each and everyone of these ladies have demonstrated thier Love for God, their community and those in need.